Mailing Lists - We can supply targeted lists, or fold insert & mail for you. MAILING LISTS – Receiving a letter in the mail is becoming a rare event! 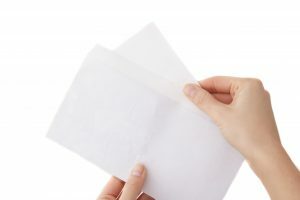 Using Mailing Lists for small targeted mailers is a great way to communicate with current or potential customers because receiving a well-crafted letter get’s more attention than ever, especially a personally targeted letter with an interesting message. This is why direct mail is making a comeback! We at FP Mail have partnered with a quality Australian list broker in order to give our clients a complete mailing service, we believe the ability to supply high-quality ADMA compliant Mailing lists as well as a mailing service will help our clients to grow their business and promote their services, as many of our customers already have Postage Meters and Folding and Inserting equipment sending a quick small mailer becomes a simple and painless process. Fill in the form below and we will supply you a quote on the mailing lists of your choice. If you would like a mailing list which is not personalised, but targeted to a particular industry or geographical zone please call us for details.